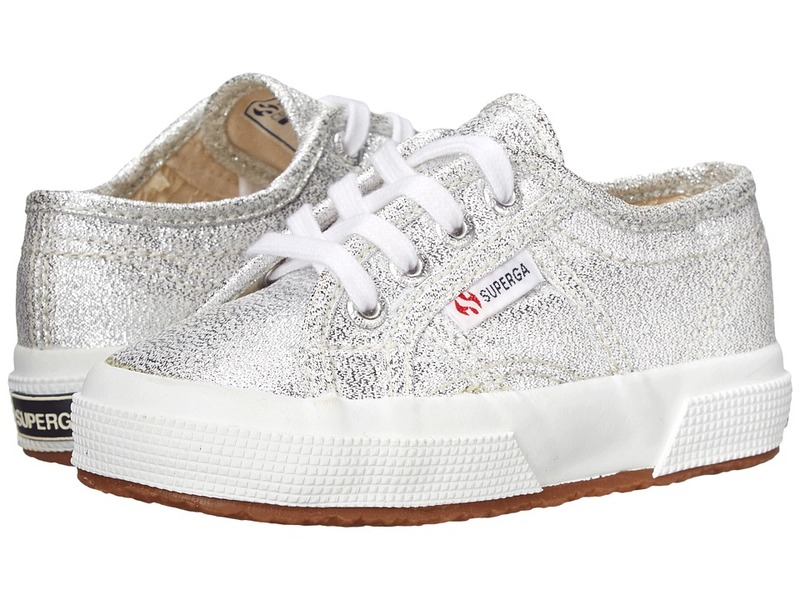 Futuristic metallic styling adorns the Superga 2750 COTMETU Sneaker for a modern spin. Their sleek, shiny surface adds a polished touch to these classics. Lace-up closure for an adjustable fit. Cushioned footbed for all-day comfort Natural rubber sole. Classic everyday sneaker. Extra-strong, unlined and fully breathable pure cotton upper. Lace up for custom fit. Cushioned insole offers extra comfort. Durable rubber sole for traction. Machine wash cold, air dry. Measurements: Weight: 10 oz Product measurements were taken using size 33 (US 2 Little Kid), width M. Please note that measurements may vary by size. Weight of footwear is based on single item, not the pair. Venezia is the classic look of comfort with a new age spin. Metallic canvas upper. Lace up for custom fit. Canvas lined for added comfort. Rubber sole for traction. Measurements: Weight: 9 oz Product measurements were taken using size 33 (US 2 Little Kid), width M. Please note that measurements may vary by size. Weight of footwear is based on single item, not the pair. Searching for a tried-and-true wardrobe essential? Step into signature style with Superga 2750 COTU Classic Sneaker, an international favorite in footwear! Sturdy cotton unlined canvas upper. Lace-up closure with metal eyelets for an adjustable fit. Signature round-toe Superga silhouette. Iconic side branding tag. Soft textile lining ensures an abrasion-free environment for all-day wear. Cushioned, non-removable footbed provides sustained comfort. Natural rubber, crepe-textured outsole offers traction and durability. Imported. Measurements: Weight: 14 oz Platform Height: 1 in Product measurements were taken using size 39 (US Men~s 6.5, US Women~s 8), width Medium. Please note that measurements may vary by size. Weight of footwear is based on a single item, not a pair. 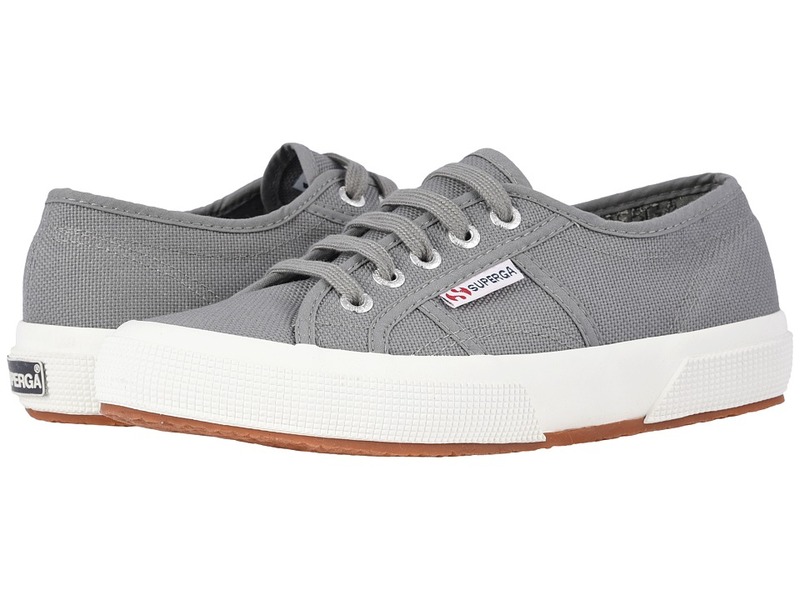 The classic look of canvas with a Superga spin. Unlined canvas upper. Dual hook-and-loop closure for secure fit. Cushioned insole offers lightweight comfort. Flexible rubber sole provides great traction. Measurements: Weight: 6 oz Product measurements were taken using size 25 (US 8.5 Toddler), width M. Please note that measurements may vary by size. Weight of footwear is based on single item, not the pair. The classic look of canvas with a Superga spin. Unlined canvas upper. Dual hook-and-loop closure for secure fit. Cushioned insole offers lightweight comfort. Flexible rubber sole provides great traction. Machine wash cold, air dry. Measurements: Weight: 6 oz Product measurements were taken using size 25 (US 8.5 Toddler), width M. Please note that measurements may vary by size. Weight of footwear is based on single item, not the pair. Classic, everyday sneaker. Breathable, unlined canvas upper. Lace-up closure for a secure fit. Cushioned insole offers extra comfort. Durable rubber sole for traction. Measurements: Weight: 10 oz Product measurements were taken using size 33 (US 2 Little Kid), width M. Please note that measurements may vary by size. Weight of footwear is based on single item, not the pair.